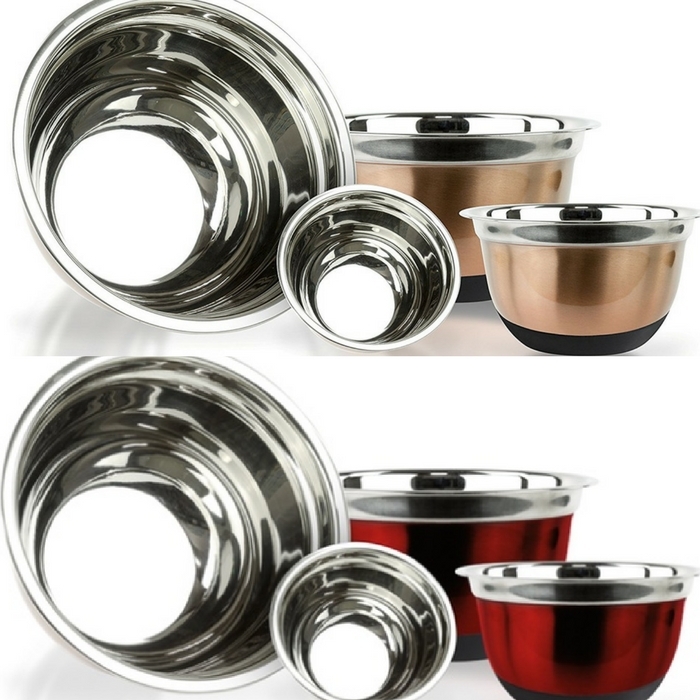 Stainless Steel German Mixing Bowls Set Of 4 Just $14.99! Down From $60! You are here: Home / Instagram / Stainless Steel German Mixing Bowls Set Of 4 Just $14.99! Down From $60! This bowl set is another great addition to your kitchenware collection! Groupon is currently offering Stainless Steel German Mixing Bowls Set Of 4 for as low as $14.99 down from $59.99! This set of bowls is great quality with polished top band and satin exterior finish! These mixing bowls are perfect for cooking, baking, mixing, and serving! I’d love to have this set!